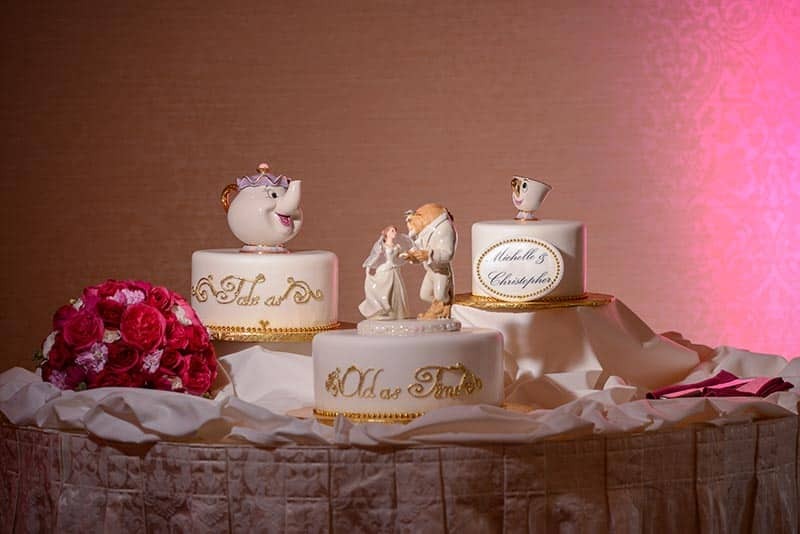 In honor of the Disney animated classic Beauty and the Beast's 26th anniversary, we are paying tribute this Wedding Cake Wednesday to the tale as old as time. 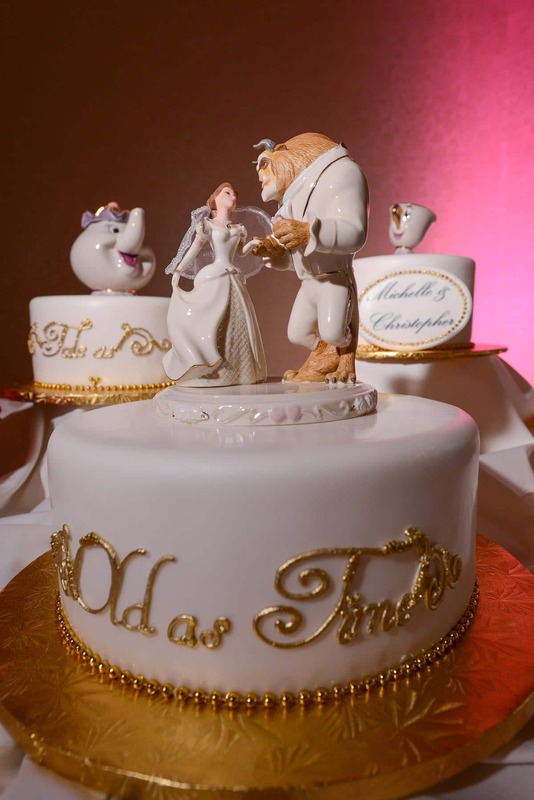 Three tiers each stand alone and feature the characters from the film for a elegant and romantic design. 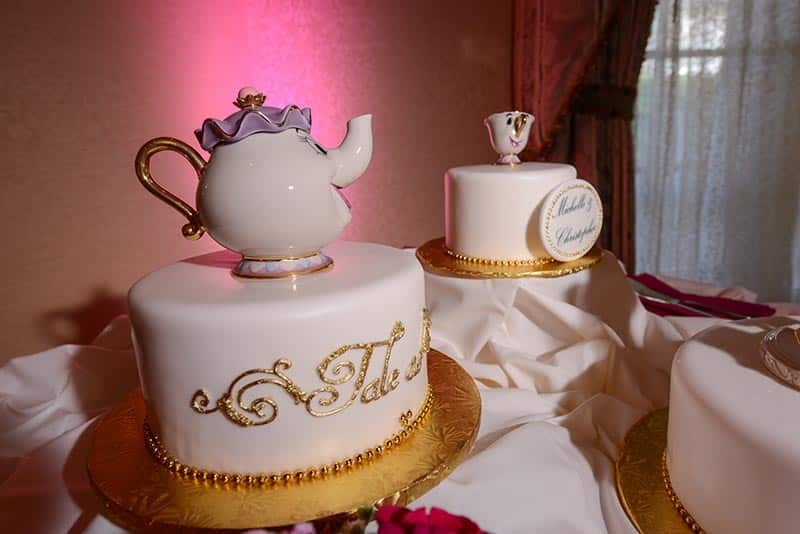 Mrs. Potts, Chip, and of course, Belle & Beast top each cake. 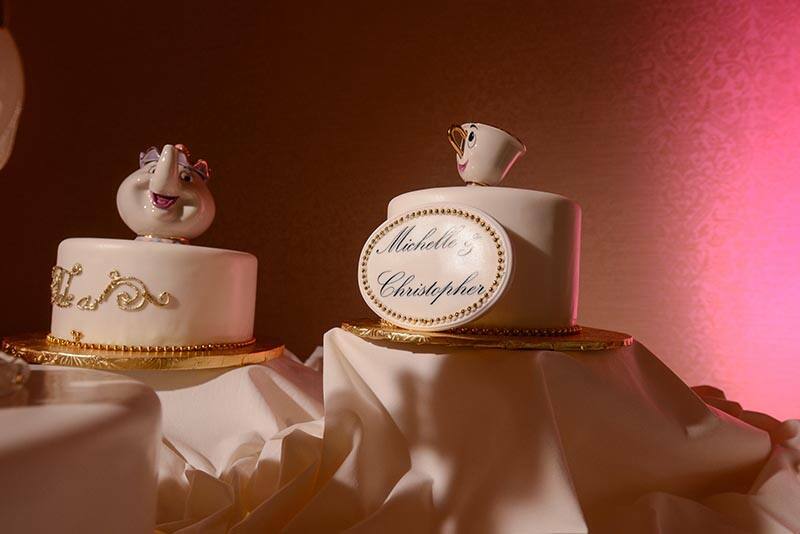 It looks almost too good to eat!